BISMARCK – North Dakota businesses will transform the statehouse into a shopping mall for locally made products, Thursday, March 21, during the Pride of Dakota Spring Capitol Showcase. Goehring also encouraged Capitol visitors and employees to take in lunch at the Capitol Café, featuring North Dakota commodities and products made by Pride of Dakota companies including Baker Boy Baking Company and Dean Foods. Admission is free and open to the public. Parking is available on the east and south sides of the Capitol building. Visitors must pass through security at the south entrance to enter the Capitol. 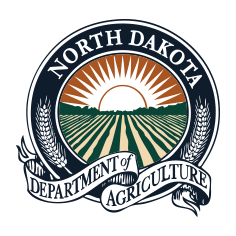 Administered by the North Dakota Department of Agriculture, the Pride of Dakota program is celebrating its 34th anniversary this year. It provides member companies with cooperative marketing and promotional events, such as in-store demonstrations, Pride of Dakota Day and the Harvest and Holiday Showcases. The program also provides educational opportunities and representation at regional, national and international marketing expositions. More than 540 North Dakota companies are Pride of Dakota members. For a list of vendors scheduled to be at the Capitol or more information on the Pride of Dakota program, visit www.prideofdakota.com.